me reception. Robinson represents The Center for Biological Diversity, an activist organization that goes to bat for many species hovering on the brink of extinction. The Mexican Gray Wolf or “Desert Wolf” of the Southwest was pursued even south of the border, until a growing environmental movement gave rise to the Endangered Species Act of 1973 under President Richard Nixon. Now the federal Fish and Wildlife Service received new marching orders. 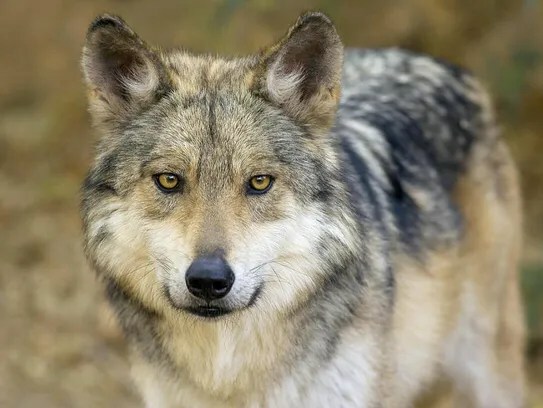 Instead of tracking down the Mexican Gray Wolf to destroy it, the agency was charged with finding any remnants in Mexico, for a breeding program to bring it back to life. 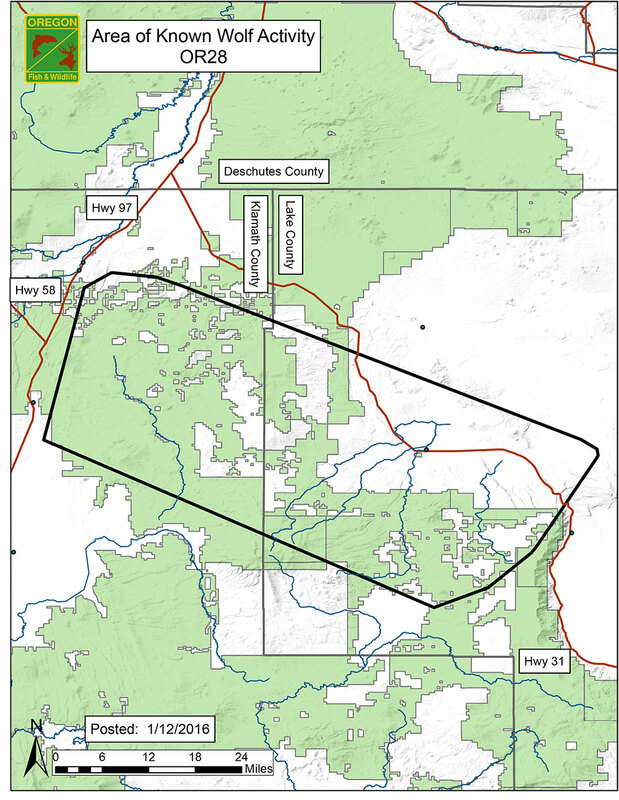 In 1998, a small pack of Mexican Gray Wolves, bred in captivity, was introduced to the Gila Wilderness of western New Mexico and the Apache National Forest of eastern Arizona. 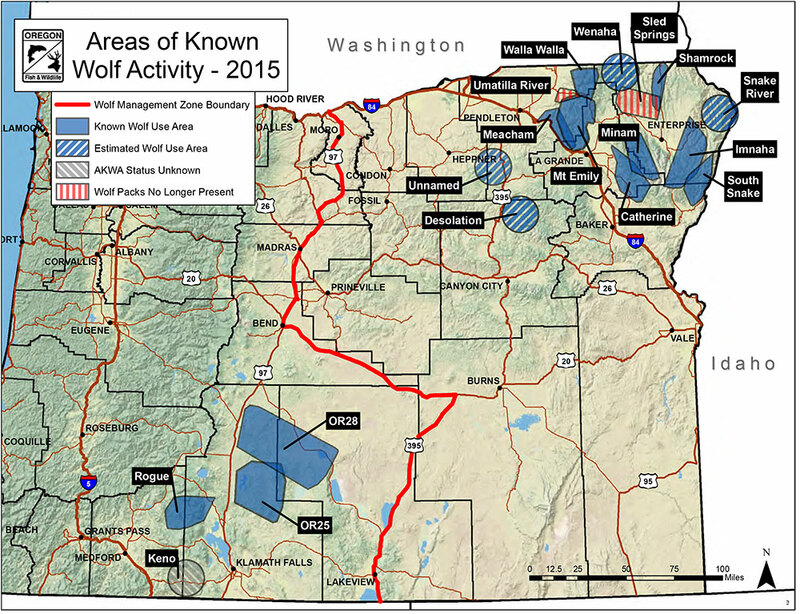 Today there are 97 wolves in the United States, about half in New Mexico, with another 25 or so in Mexico. It’s a precarious population with only six breeding pairs. 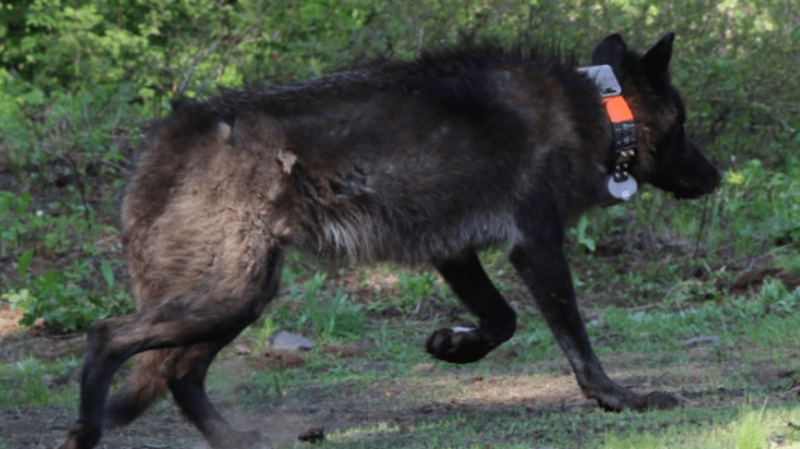 And the wolves have been consistently under attack from certain ranchers who have felt under duress from their presence (albeit on public lands, Robinson notes) and by Congressman Steve Pearce and Governor Susana Martinez who have represented the livestock industry in legislation. Both have tangled with The Center for Biological Diversity. 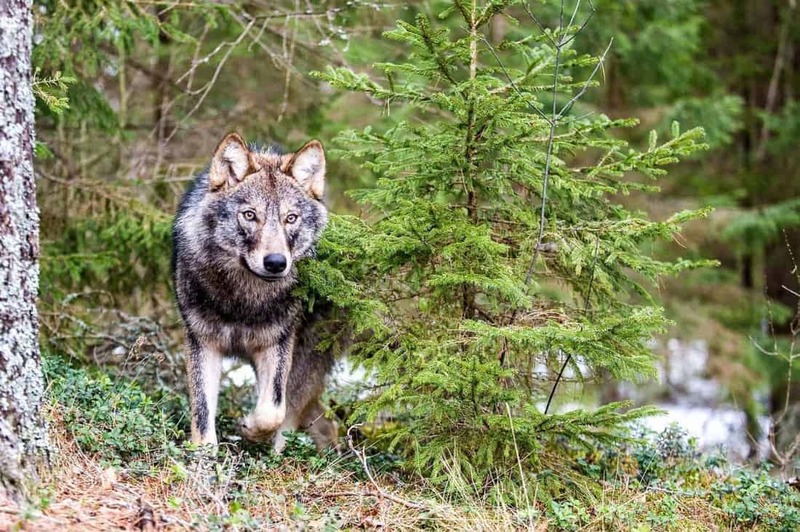 He cites the case of elk — 90 percent of the wolves’ diet — which have become sedentary around stream beds, consuming plant life and supplanting beavers. “You want elk to be roaming,” added Robinson, “and that requires wolves.” Wolves also contain coyotes. And, he said, in the absence of wolves and other natural predators, over-grazing of cattle denuded the grasslands surrounding Silver City, which contributed to the flood that left us the Big Ditch. Robinson is the author of a book on the history of wolves in the United States, “Predatory Bureaucracy: The Extermination of Wolves and the Transformation of the West” (University Press of Colorado, 2005). Depending on who you ask, the Eurasian lynx is either a benign woodland wonder or a sheep-stalking terror. In reality, any lynx can be either or none of these things. But research from other European countries to which they have returned tells us that a mooted reintroduction to Britain is unlikely to trouble farmers. The campaign to restore the 30kg cat to the UK gathered steam this week as the proposal was opened to stakeholder consultation. There is no suggestion the lynx will attack humans, but the National Farmers Union (NFU) was quick to release a statement laying out its objections. The UK’s major farming lobby group said its biggest concern was that lynx would hunt farm animals – particularly lambs. “Those animals are farmers’ livelihoods,” said NFU countryside adviser Claire Robinson. According to the Lynx UK Trust, the group behind the reintroduction push, farmers’ fears are baseless. An analysis from consulting firm AECOM, found that a lynx will take an average of just one sheep every two and a half years. It even raised the possibility of a net benefit to flock safety if the lynx controlled lamb-hunting foxes as they have in Switzerland. “I would class 0.4 sheep per year as no impact,” said Paul O’Donoghue, the lynx trust’s chief scientific adviser. The AECOM analysis averaged out statistics collected during the 1990s from across Europe. However in the original study no standardisation was used to ensure that sheep kills in each country had been recorded in the same way. One of the authors of the 15-year-old report, professor Thomas Kaphegyi, told the Guardian he was “surprised” to see their data used in this way. “Far more relevant information and data on depredation of lynx on livestock is at hand by now,” he said. The average kills per lynx is important as it allows lynx advocates to estimate the total amount of compensation to be paid to farmers who lose sheep to lynx. The AECOM report found their initially proposed 38 animals would cost just £757 each year, paying farmers double the market rate for killed sheep. This cost would be overwhelmingly offset by £2.7m per year earned through a local lynx tourism boom and the reduction in deer management costs as lynx culled them naturally. If this windfall proves remotely accurate, the project could remain economically feasible even if the sheep kill rate was 25 times higher – on par with Europe’s most lynx-troubled sheep flock in Norway. However there is little reason to think lynx will hunt this many sheep in Britain. Their flawed attempt to pin down a pan-European average masks the best argument the pro-lynx group has to convince British farmers their flocks are safe – everywhere is not the same. The AECOM report doesn’t entirely ignore this variability. A “worst-case scenario” is discussed in which the UK’s sheep are hit at the same rate as in France (2.84 sheep per lynx per year) and the relatively huge impact of lynx in Norway is excluded as an outlier. In September, Norway’s farming lobby warned Scottish farmers about the problem they were having with lynx. During the past century, when few lynx were found in the country, farmers grew accustomed to letting their sheep roam deep into the forest. This practice was exposed after lynx gained legal protection in 1979 and recolonised the forests. According to a monitoring programme in Norway, between 259 and 486 lynx are responsible for killing 6,000-10,000 sheep each year. In some regions, individual male lynx have been known to take up to seven sheep each month. But John Odden, the researcher who conducted the Norwegian study, said Norway was the exception that proved the otherwise more reassuring rule. In France’s Jura mountains, even though the amount of available deer prey is low, lynx took five times less sheep than in Norway because they were farmed in enclosed pastures. Odden’s work in Norway backed up the conclusions of researchers in France: that if sheep are kept in pastures slightly removed from woodland margins, regularly monitored and with high populations of deer, lynx mostly don’t bother with them. The UK lynx programme has proposed releasing lynx into two English forests: Kielder in Northumberland and Thetford on the Norfolk-Suffolk border. The NFU said these forestry commission sites contained remote regions of patchy, fragmented forest beside which some graziers run sheep. It raised the possibility that these flocks would suffer. We might pause to wonder at the impossibility – across the breadth of the British Isles – of finding a forest in which to release a few lynx without troubling sheep or shepherd. Six thousand years ago, Britain’s great forests covered 75% of the landscape. Seven thousand lynx ambushed their prey in those woods. Today, less than 13% of the country remains covered. How rewilded is a lynx that is returned to a semi-wild, sheep-encroached forest?According to the Woodland Trust, sheep and deer are the primary reasons Britain’s forest cover remains at just one-third of the EU average. If the lynx reintroduction is to be anything more than a novelty, sheep-grazing in forest margins must be curtailed, forests must be allowed to spread, creating habitat corridors from which lynx have no need to venture. In this way, sheep and lynx can be kept safe from each other. Despite their incredible beauty and obvious similarities to our domestic companions, just about everyone knows that wolves are not to be messed with in any way. But in 2003, Alaskan wildlife photographer Nick Jans and his labrador encountered a wolf in their backyard – and began a relationship that would defy logic and transform an entire community. Jans was on the back porch of his Juneau home with his dog when a wild wolf appeared. With all the excitement, his dog slipped away, racing out to meet the stranger. Nick was stunned to see the two start to play together. He managed to capture this photo of them during the encounter. The wolf stayed in the area, and in the years since, Nick has devoted much of his time to documenting him, naming him Romeo. Romeo became a Juneau fixture, known for playing with local dogs at nearby Mendenhall Glacier Park. Residents were unsure at first, but they soon realized that Romeo just wanted to play. Romeo remained around the outskirts of Juneau for six years, becoming an ambassador to the wild and a powerful symbol in the community. After Romeo’s passing in 2010, the residents of Juneau held a memorial for the wolf and had this special plaque made in his honor. It’s so inspiring to see three different species learn to live peacefully together in harmony. It just goes to show how wonderful the world can be. Share this amazing story with your friends, and check out Nick’s account of this unbelievable tale, A Wolf Named Romeo.